Departure from Bariloche to Puerto Panuelos. 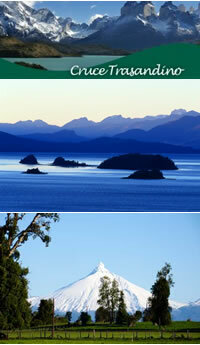 embarcation and by motor boat sail along the Nahuel Huapi lake to Puerto Blest. 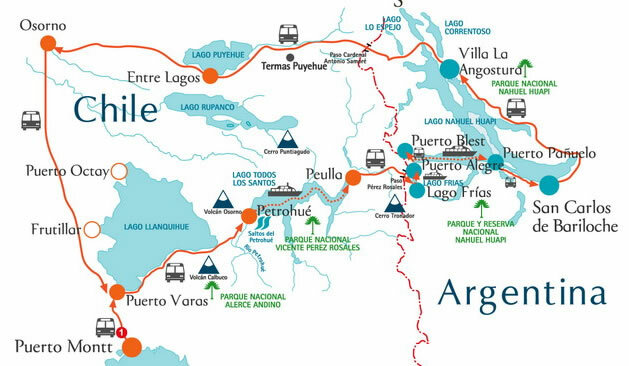 Proceed to puerto Alegre, then to Puerto Alegre, then to Puerto Frias and then by bus to Peulla for lunch. In the afternoon departure by motor boat along the Esmeralda lake to Petrohue and continue by bus to Puerto Mont or Puerto Varas. Day 1: Departure from Bariloche to Puerto Panuelos. Proceed by motor boat on the Nahuel Huapi lake to Puerto Best. 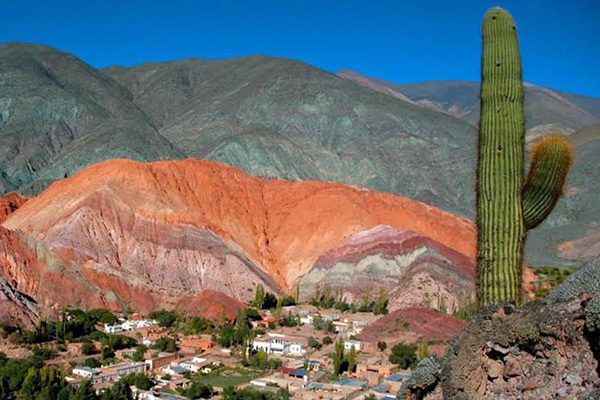 Continue to Puerto Alegre and sail to Puerto Frias. By bus to Peulla for dinner and overnight. Day 2 : Departure by motor boat along the Esmeralda Lake to Petrohue for lunch. 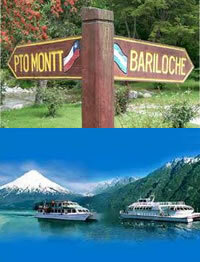 In the afternoon proceed by bus to Puerto Montt (Chile)- drop off at your hotel or at the lake crossing office.